At Brazos Valley Mazda, we care deeply for our customers’ satisfaction which is why our experienced and friendly staff treat the needs of each individual customer with paramount attention and concern so that you can easily ask any question you need answered. 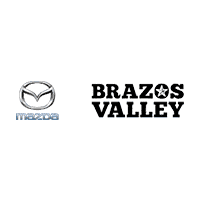 Brazos Valley Mazda provides a wide array of vehicle services including Car Inventory Search, Servicing Vehicles, Part Replacement, and Vehicle Financing. Whether you’re looking for a specific replacement part, or are looking for your dream car, we gladly accept the challenge of pleasing every customer by meeting and exceeding their expectations. Our staff and site are prepared to share our knowledge and car buying tools with you. Our website acts as a great resource for browsing our online inventory, researching different vehicle trims, investigating financing options, and getting in contact with our skilled financing and car specialists. You may even start the appraisal and trade in process by filling out our Trade In Form. If you’d like to schedule a test drive or if we don’t have your vehicle in stock, fill out our contact form and we’ll let you know when the matching car arrives. We proudly serve customers from the greater Houston, College Station, and Cypress areas for any number of service needs. At Brazos Valley Mazda in Bryan, Texas, we are committed to your satisfaction. We look forward to serving you!